If you are a regular reader you know that we moved house a while ago. When we moved there where a LOT of changes that happened. A few of those changes included Paint and wallpaper, in our old house we weren't allowed to paint or change the decor at all. I had to ask permission to repaint a wall the same cream as it was to cover a mark made by our sofa when we where moving! We also where not allowed to drill holes or put up any nails, which lead to our whole house having plain cream walls. There was no way to personalize the house for us and it never really felt like home. In our old house most of furniture also belonged to the landlord so when we moved into our new home we really didn't have everything we needed. Which meant we needed to get most of our furniture before moving in. I love all our furniture and we finally all feel at home now that we have been able to add everything we want. I want to share my personal favourite piece's and I will do this in two posts, this is the first. The first of my favourite pieces is our shelving unit with it's storage boxes. This is the perfect piece of furniture for us as we do have a lot of things that need to be kept in the living room such as D's toys and puzzles, my many books, DVD's, games and some important information we always seem to need. I love that the colour can be changed by simply getting some new boxes and the old ones can be folded for storage! 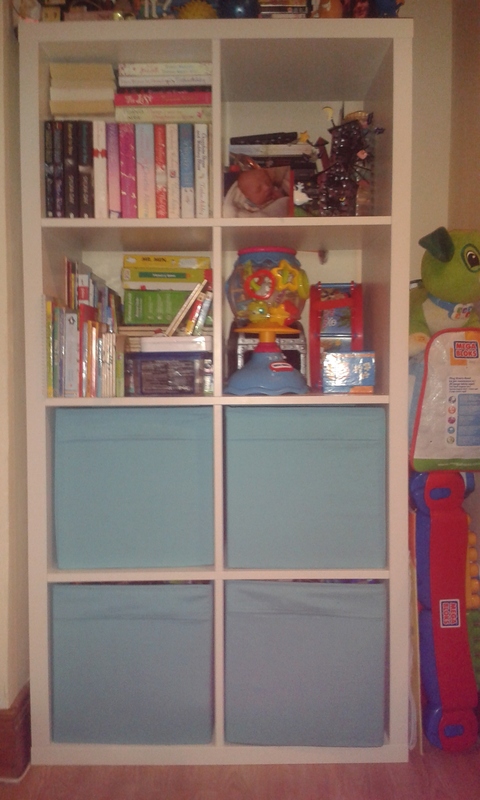 This is the KALLEX Shelving unit in white from IKEA paired with the DRÖNA Box in blue also from IKEA. Our whole unit including the 4 boxes cost £49! Such a bargain for a great sturdy piece of furniture. 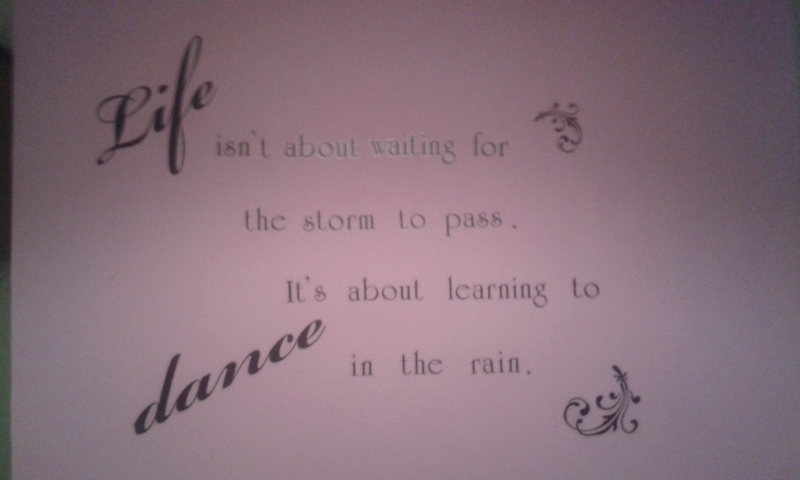 The second is our wall sticker of the quote 'Life isn't about waiting for the storm to pass it's about learning to dance in the rain' . This is one of my favourite quotes, it is so inspirational and I love that we have it on the wall above our dining table. I can look at this when I feel like I am having a tough day and it will inspire me to keep going and be happy. Everything can be fixed with a bit of work and effort. This quote is available in B&M. The wall sticker costs £2.99. 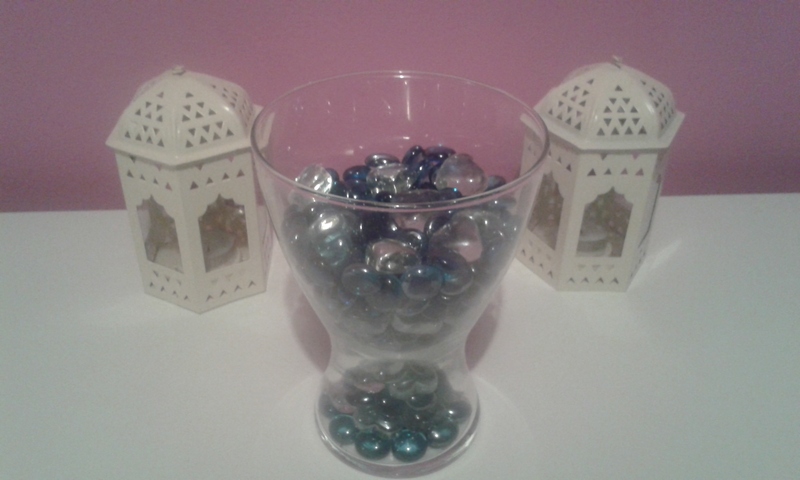 Next up is our Table Centre piece(s) which include a vase filled with blue droplet glass beads and heart shaped clear glass beads. This is paired with two lanterns that are made to be used outside but I just couldn't resist adding them to our table, they are just to beautiful and work perfectly for adding a lovely glow to dinner with Simon when we do get some alone time. The beads are from B&M with the blue ones costing 99p and the Heart shapes ones costing £1.99. The vase is from IKEA which costs £1 and finally the Lanterns are from Poundland and cost £1 each. 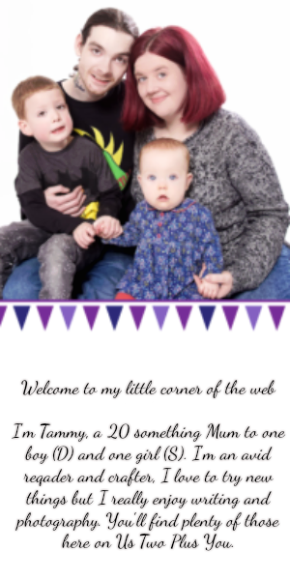 The final Piece in this post is the boy's chalk board which I painted on myself. The minute we knew we where moving I knew this was going to be in the boys room. It is so handy to have. If i forget something Uncle L needs to remember i can just pop it on here and he will see it. This is also one of the most used places as both D and Uncle L love writing on it. Plus anyone who comes to visit always ends up writing something on the chalkboard! 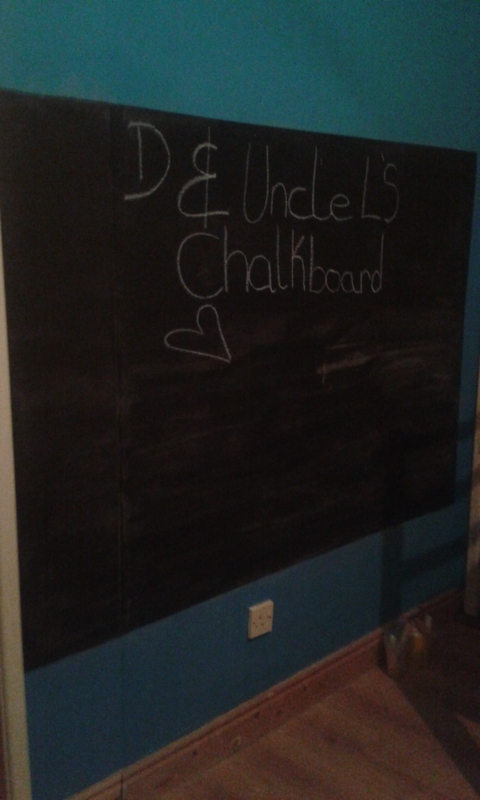 The paint for the chalkboard is from B&Q and cost around £7. These are the first half of my favourite pieces in our new home. I hope you enjoyed looking at them. What is your favourite piece in your home?